The Prime Minister has slammed Jeremy Corbyn for not agreeing to meet with her privately to talk about Brexit, claiming he had been willing to sit down with "Hamas, Hezbollah and the IRA without preconditions". The Labour leader declined a meeting with Ms May to discuss Brexit plans, claiming he would not take part in talks unless the possibility of a no-deal was taken off the table. During a heated exchange during Prime Minister's Questions, Ms May said: "What I have been wanting to do and have been doing with members across this House is sit down and talk about how we can secure support in this House for a deal. "The Right Honourable Gentleman has been willing to sit down with Hamas, Hezbollah and the IRA without preconditions, yet he won't meet me to talk about Brexit." In response, Corbyn accused the PM of showing "no flexibility" with regards to "taking no-deal off the table". "I did reach out to the Prime Minister last September when I offered to discuss our deals with her, and it appears that while the door to her office may well be open, apparently the minds inside it are completely closed." 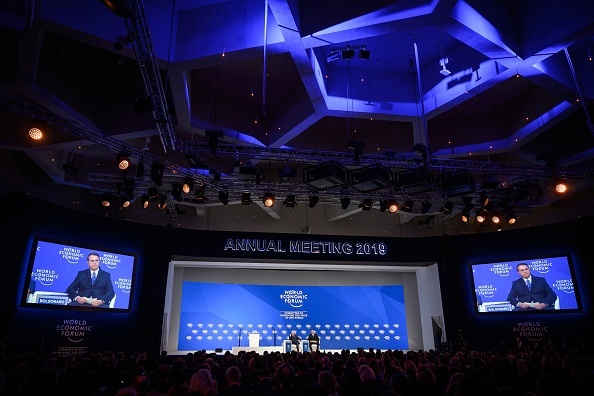 The Labour leader also made reference to the news that a third of Ms May's Cabinet are currently at the exclusive World Economic Forum conference in Davos, referring to the trip as a "billionaires' jamboree". "Across the country, people are worried about public services, their living standards, and rising levels of personal debt. "While a third of her government are at the billionaires’ jamboree in Davos, she says she’s listening but rules out changes on the two issues where there might be a majority: against no-deal and for a customs union, part of Labour’s sensible Brexit alternative."